Marvin Bagley can score, board, leap and run. But will his defense hold him back in the NBA? Contributor Steve Jones Jr. investigates. Today’s article comes from contributor Steve Jones Jr. Steve is a former assistant coach with the Brooklyn Nets and video coordinator with the Memphis Grizzlies. He played basketball at UNLV. You can find his breakdowns, video and lukewarm takes on Twitter @stevejones20. 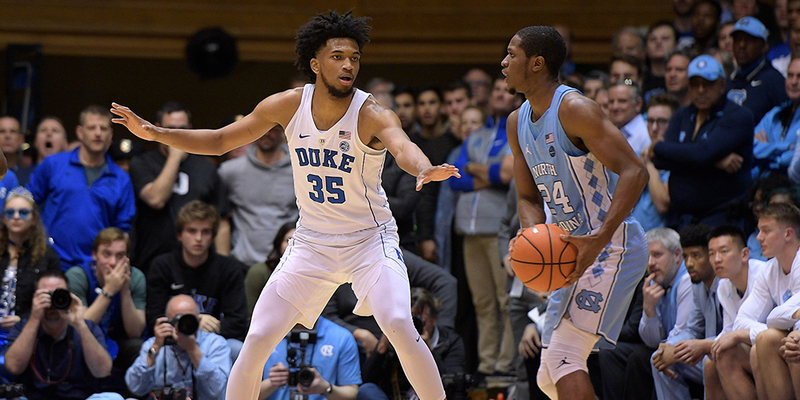 Duke’s Marvin Bagley III is going to be a high selection in Thursday’s draft—perhaps as early as No. 2 to the Kings. But to justify that selection and to reach his true potential, he will have to make serious strides defensively.